I get asked all the time what my favorite Startup Week has been. My typical answer is that they’re all different and all amazing in their own way. That’s the truth. If this sounds like I’m deflecting, I’m not. But it’s hard not to be pulling for a city like Detroit. After decades of economic struggle, urban blight, and more bad press than any one city deserves, Detroit is making a comeback – in a big way. So when we had the opportunity to bring Startup Week to the Motor City, we jumped at the chance. What we needed was someone with tremendous grit, and boundless pride for this city, to make it happen. After a bit of searching, we found just the person – Kyle Bazzy. Kyle Bazzy, lead organizer of Detroit Startup Week, Powered by Chase. 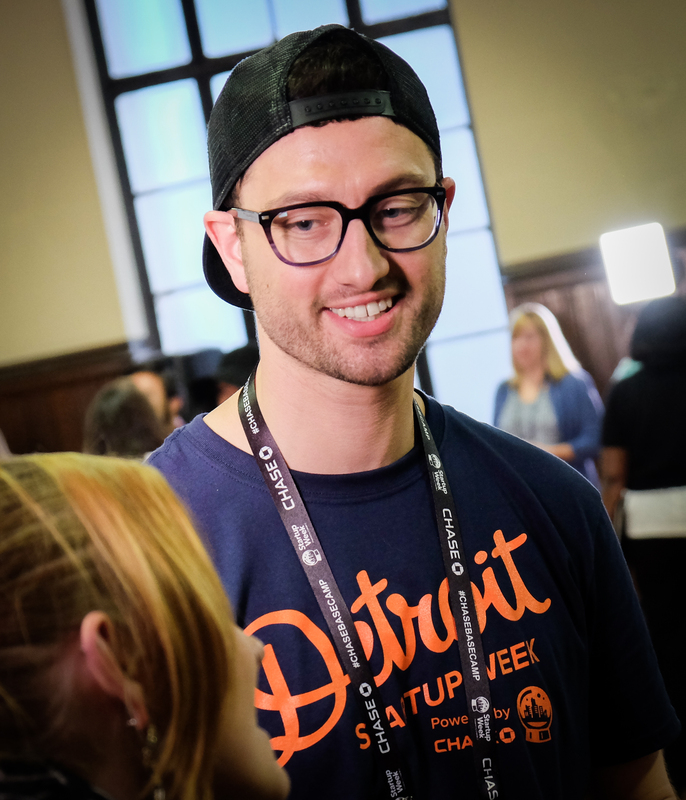 Last fall I asked my colleague, Ted Serbinski, Managing Director of Techstars Mobility Accelerator in Detroit, who he thought should lead Detroit Startup Week, Powered by Chase. Kyle was at the top of his list. So an introduction was made and a phone call later we had our leader. Kyle is an entrepreneur who believes deeply in the power of community to rebuild this once majestic city, so he jumped at the chance to bring the Detroit startup community together through a week of programming and celebration. He also organized one hell of a team to put this whole thing together. His enthusiasm for this city is infectious, and his spirit defines what it means to be community leader in a place most of the country has given up on. It’s my hope that Detroit recognizes just how unbelievably lucky they are to have Mr. Bazzy as their champion. It’s because of him and his team of selfless organizers that Detroit is back on the entrepreneurial map. 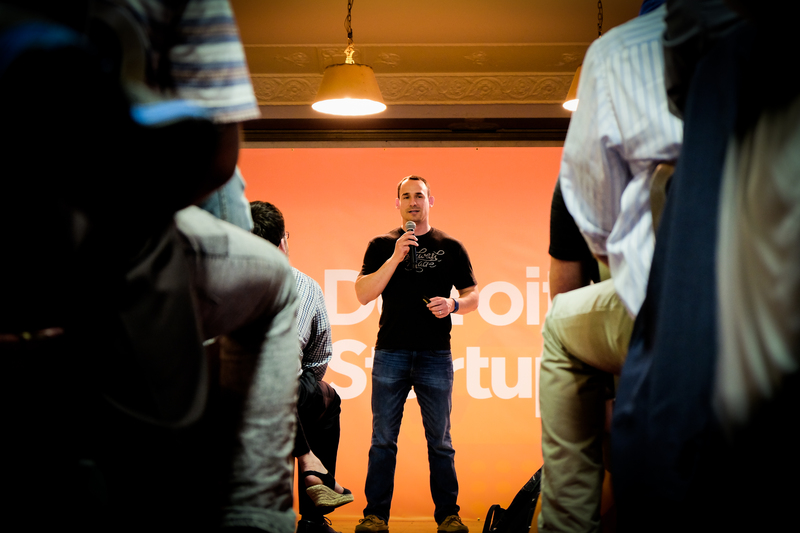 The numbers are still coming in, but at this point we’re able to confirm that the Detroit Startup Week team broke the attendance record for a year one Startup Week city! Over 3,300 attendees participated in this week’s events. That’s HUGE. If you would have told me a week ago that they would break the record, I wouldn’t have believed you. But they believed they could, so they put every ounce of effort into spreading the word and it paid off. Not only did they break the attendance record, they pulled together leaders from all over the community to put together amazing content entrepreneurs in Detroit could benefit from. Over 160 events have taken place over the last week, with more happening before the end of today. You did the work, team. Work that people will point back to that will make so many things happen in the next 5, 10, even 20 years. Now go celebrate your hearts out tonight. You earned it. 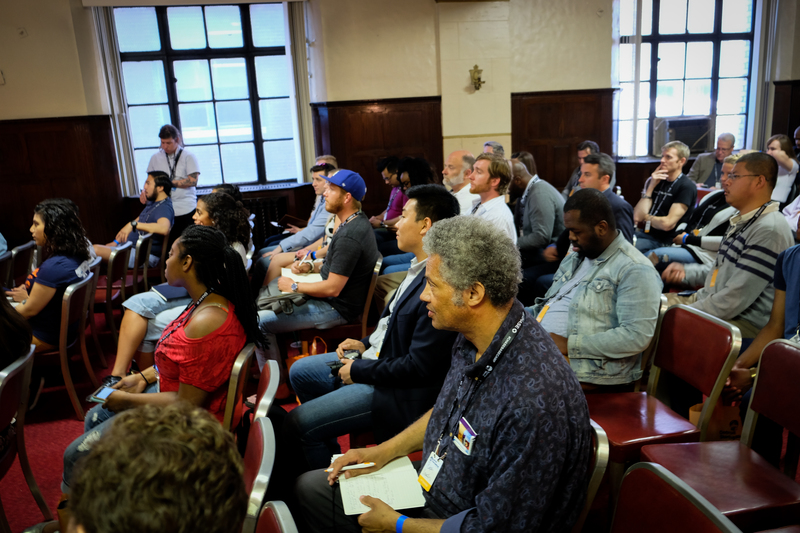 Attendees during a session at #ChaseBasecamp at the Masonic Temple. 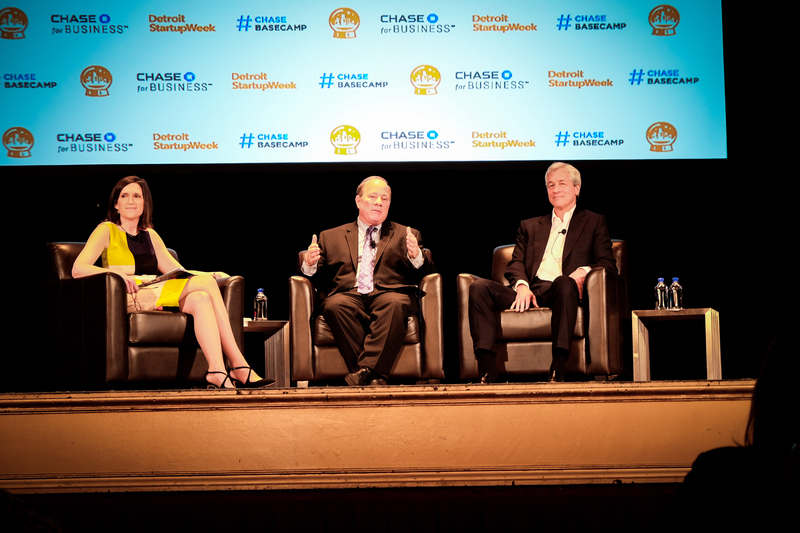 From left to right: Jenn Piepszak (CEO of Business Banking, Chase), Detroit Mayor Mike Duggan, Jamie Dimon (CEO of JPMorgan Chase) during a fireside chat in the Jack White Theater. 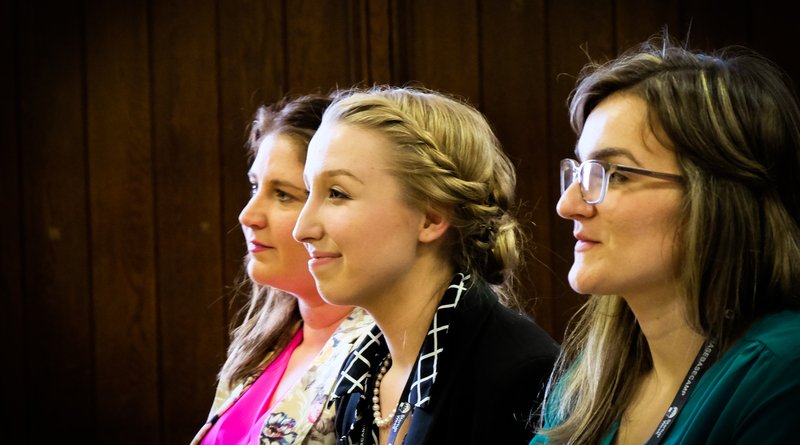 Pictured center, Meghan Sharkus, winner of theSkimm’s “GET OFF THE COUCH” Skimm’bassadors Pitching Panel, Presented by Chase. Ted Serbinksi, Managing Director of Techstars Mobility Accelerator in Detroit, leading a session about what to look for when evaluating a startup. One final shoutout to my partner-in-crime, Christina Christian. Christina is the person on my team who works hand-in-hand with the community organizers to make all of this come together. Detroit marks the 6th Startup Week she’s helped with from the Techstars side of thing (7 if you count her volunteer efforts in Columbus last year before joining us), and I’m so incredibly proud of what she’s accomplished. With her rookie season officially over, I just want to say how grateful I am for her efforts, and look forward to working with her for as long as she’s willing to put up with me. Cheers to you, Christina!